Spring is just a matter of days away so it’s time to shake off winter, and the excuses and get started on your spring diet! Here are our top 10 easy ways to get motivated to smash your diet this season! Let’s face it – dieting at any time of the year is hard, but it’s particularly hard during winter. Cold, short days have us longing for the warmth of indoors and comfort food. But now that spring is on its way, it’s time to shake off winter and embrace your spring diet. Spring is the perfect time to get fit and healthy. The season is all about rejuvenation. Soon the trees’ bare branches will be blossoming with crisp green leaves, the sun will make an appearance and the days will finally be longer. The season is a reminder of the beauty of nature, which should be appreciated it its fullest, just like your health. Like nature, your health is a gift, so it is only right that we should nourish, protect and prolong it. So stand up, shake off the feeling of winter, along with the excuses and embrace your spring diet today! And to help you kick start your weight loss, we have put together our top 10 tips to make your spring diet a success! With the hangover of winter there can be an abundance of calorific junk food filling up your cupboards, providing unwanted temptation. Ahead of your start date make sure you clear all of this out of your house. Pass it on to a relative or neighbour or parcel it up and bring it to a local homeless charity, which will happily that it off your hands. Don’t make your weight loss journey all strict and structure. Rewarding yourself when you reach a mini goal is the perfect motivation to keep going. 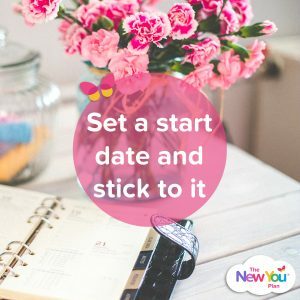 Whether it’s your first half stone loss (which will happen quicker than you think) or throwing out your now too big clothes, allowing yourself a non-food reward is a great incentive. Jotting your thoughts and feelings down is sometimes all you need to do to get yourself set for the task in hand. Journals are proven to be therapeutic and can make sense of your busy mind. 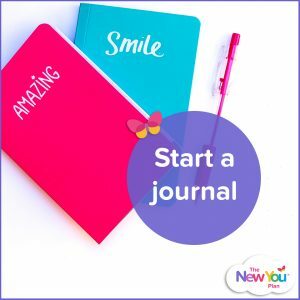 Why not buy yourself a new journal to start the season off with a clean slate?! Find somewhere that you find inspiring – such as your favourite coffee shop, the local park or even a comfy arm chair in your living room. Give yourself a few hours to clear your mind of all the thoughts, feelings and goals you have for the season ahead. The main person involved in your weight loss journey is you so remind yourself why you are doing it. Self appreciation is so important to a healthy mindset. So, make sure you look at yourself in a positive way to stay on the right track. What makes you ‘you’? Is it your personality? Great sense of humour? Envious hair? These are characteristics that will never change no matter what weight you are so take pride in them and love who you are. Before you start your spring diet take some time out to write down 10 things you love about yourself. Sometimes a hard task to complete but remember this is your list so you can write whatever you want. Don’t think about what others think – it’s your reasons so you know they are true. Now that you have completed that the next step is to make a list of 10 things you would like to change. These can be as big or small as you want them to be. One could be to change your sense of style – to be more daring and embrace new trends. 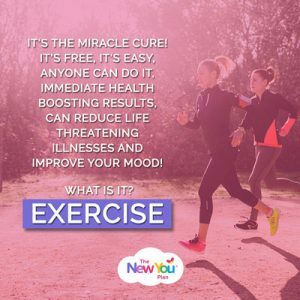 Another could be to change your attitude towards exercise and embrace it in your new lifestyle. Again, this is your list of changes so there will be no wrong or right answer for this. It’s all to help you reach your goal this autumn. Never underestimate the power of a photograph. You wouldn’t believe the powerful impact that customers’ before and after photos have in Secret Slimmers. These serve as the perfect reminder that amazing things are possible with this plan. 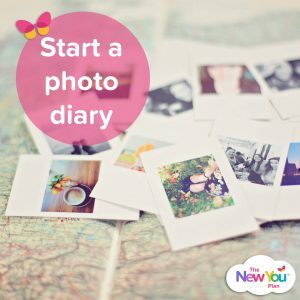 Documenting your own journey through photos is so important. Whether it’s taking a full length photo every day, or weekly when you weigh in, comparing where you started and where you are now, will help you see how far you have come in such a short space of time. One of the most important things to do is to get totally clear on WHY you are doing this. What are your reasons for wanting to lose weight? 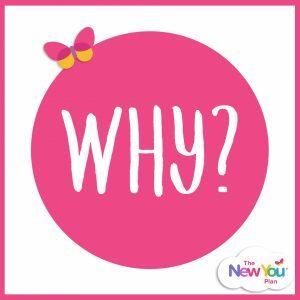 Whether it’s for your health, wedding, birthday celebration or to boost your confidence, never lose sight of what your ‘Why’ is. Don’t go it alone when starting your spring diet. Our Secret Slimmers community is full of thousands of likeminded individuals going through the same journey as you. Some may be at the same stage as you and know exactly how you feel, while others will be at the end of their plan but can provide a wealth of knowledge to help you reach your end goal. 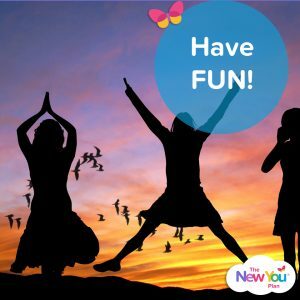 A community full of great tips, helpful information and fun challenges awaits. A crucial tip before you start your spring diet! To ensure you have everything you need we recommend you pre-order all your TFR meals and snacks prior to your start date. This way you will have all your favourites available and be 100% focused each day. Some of our Secret Slimmers find it easier to plan each day’s meals ahead of time so they know exactly what is on the menu the following day. A helpful way to do this is to create a meal box the night before (almost like a lunch box!) and fill with the packs you are going to eat the next day. When the morning comes the thinking process has already been completed and you can carry on with the rest of your day. Although exercise is not essential on this plan, getting a little active encourages a positive mindset. Gentle exercise, such as a walk will increase your energy, promote a better night’s sleep and (if you keep with it), physical change. With the warmer weather and longer days, take advantage of them. Get out and about and explore the world around you, while getting fit in the process. One of the most important tips to take on board, is that your spring diet should be FUN! A weight loss journey does not have to be all doom and gloom. It can be an enjoyable experience. You get to eat the meals and snacks you like, yet lose weight at the same time. 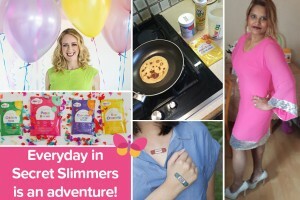 Plus, you’ll make new friends in our Secret Slimmers community. 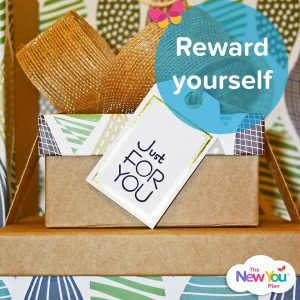 You’ll also enjoy rewards yourself with the things you love once a new goal is reached and you could even find a new exercise that you enjoy. Remember, you are doing this for you and when the final weigh in comes you will look back over this and see all the amazing progress you have made! Don’t understand all this planning! I just take the first thing that comes out of the box. that way I don’t even have to think about food!